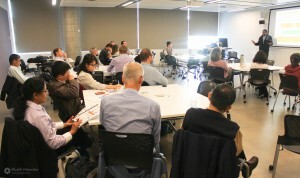 The Advanced Condition Assessment and Pipe Failure Prediction Project held its Technical Advisory Committee and Committee of Management Meetings on the 25th and 26th June 2015 at the University of Technology Sydney. 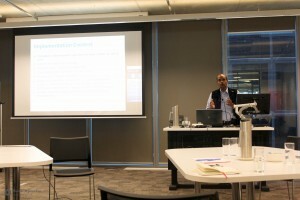 Photograph showing participants in the TAC meeting during Jayantha Kodikara presentation. Photograph showing Dammika Vitanage presenting.